Every year, more and more people are opting for concrete sidewalks to enhance the aesthetic beauty of their property. A sustainable building material, concrete has very little impact on the environment compared to other building materials. 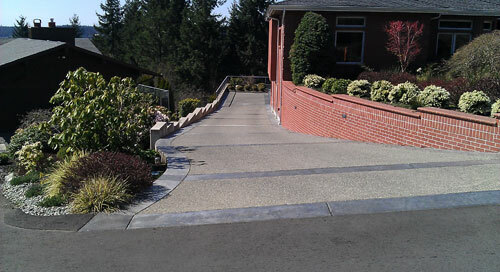 Are you looking for concrete sidewalk contractors in DuPont, WA? We are at your service. Cook's Concrete Construction Co. Inc. has a team of professional concrete sidewalk contractors with expertise in concrete sidewalk construction. We provide complete concrete restoration and also take care of sidewalk installation and repairs. We are experts in resurfacing, paving, sealing, etc. as well. Our rates are affordable and our flexible scheduling allows us to complete your project at your convenience. We have been in service since 1945 and specialize in concrete walkway construction in DuPont and the surrounding neighborhood. Whether you want a completely new concrete walkway to enrich your outdoor space or are looking for a new concrete driveway, we treat every job with the same professionalism. 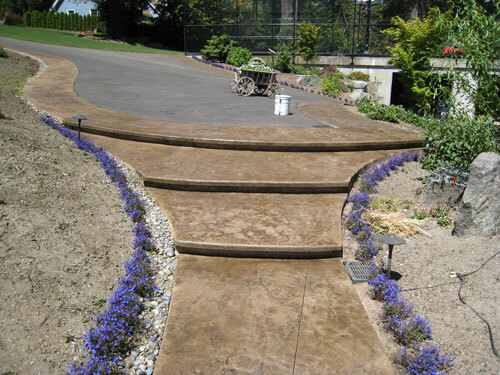 We ensure your residence or commercial property will have a beautifully designed concrete walkway. We will also use the best material for concrete walkway construction. Our skilled team can create the most versatile concrete walkway at an affordable price. You can get in touch with our staff to know more about our other products and services. Are you considering installing or replacing the concrete driveway of your DuPont residence? Do you want to enhance your property with an attractive concrete walkway or patio? A concrete driveway is an investment that can last a decade or two; we ensure your money does not get wasted. We are well-versed in local zoning laws and regulations and have successfully handled countless concrete driveway projects. We have the skills needed to give you quality results. Give us a call to discuss your needs and to get a free concrete driveway cost estimate. 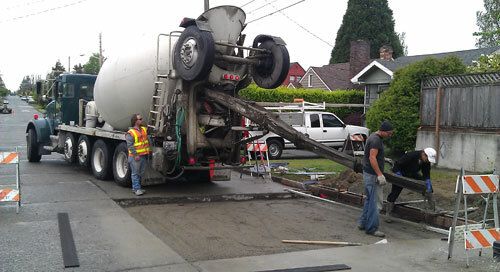 For a concrete sidewalk contractor in DuPont, call Cook's Concrete Construction Co. Inc. at (253) 777-1901. We also provide concrete walkways, curbs and concrete driveways. Copyright © 2019 Cook's Concrete Construction Co. Inc.